For people on a tight budget, flying to Europe may seem like a dream that will never happen. Most of the time, when you check out prices for a regular long-haul transatlantic flight, the cost tends to be $1,000 or more. When you combine the pricey flight with the expensive European meals and hotels, it’s not doable for most people. There are ways to save on your flight and make your dream trip to Europe finally come true. Here are eight ways to get a discounted price to your top European destination. First, you should consider traveling in the off season. Most people tend to schedule their vacations during the summer months when the kids are out of school and the weather is at its best. Summer flights are generally much more expensive to any destination than flights scheduled during the fall, winter, or spring. Even though gas prices have gone down for the last few years, flights are still expensive because of hot summer demand. That’s why it’s best to put your travels off until school is back in session and the pricing adjusts for the lower demand. Another tip to help you save more of your cash is to purchase a popular route between two major cities. Instead of flying from a small city in the United States to a medium city in Europe, plan a route between two larger destinations, such as New York to Paris. There are many different carriers running flights between these two large cities, giving smart travelers more choice and lower prices. It’s also more economical to purchase tickets for a flight that departs in the middle of the week. Flying on a Tuesday or a Wednesday could help you save hundreds of dollars. Flights that depart outside of the busy weekend time tend to be priced much cheaper. Some airfare experts also recommend that you time your purchase for your flights on a Tuesday or Wednesday as well, since many airlines release their sales prices during those times. Today, consumers have more choice when it comes to flying since the introduction of several large budget airlines in the industry. These no-frills airlines deliver a standard basic product without any of the extras that the legacy carriers may have. You’ll get a cheaper fare, but you may need to scale down on the number of bags you bring or forget about that in-flight meal you may be expecting. Flying on a major holiday is another great strategy that could help you save hundreds of dollars. Many people choose to fly around the holidays, such as Thanksgiving, Christmas, and Easter. 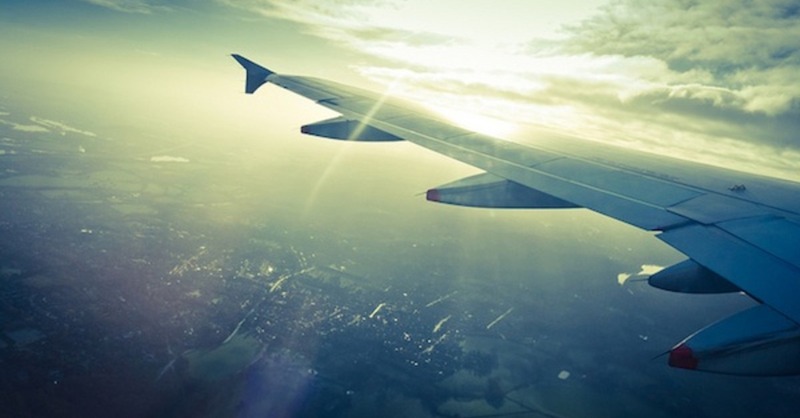 If you want to avoid paying higher prices than usual, consider flying on the actual holiday. This can help ease that sticker shock that occurs during holiday travel. Going to Europe can also be a little cheaper if you avoid flying direct. Some airlines offer a free stopover to give visitors a way to see two European cities for the price of one. Airlines that fly to the small country of Iceland typically feature this kind of deal. Travel consolidator companies also feature great deals to and from Europe. You can score tickets for cheap flights and realize your dream of traveling to your favorite exotic destinations. In many cases, these consolidating agencies buy directly from the airlines and help consumers save thousands. One travel consolidator that has a large selection of budget flights is Nanak Flights, a TICO and IATA affiliate agency with an ability to ticket on all of the major airlines. The last way you can travel to Europe cheaply is by using credit card points or airlines miles. Lots of credit cards offer consumers lucrative bonuses on miles or points if you sign up for an introductory offer. Signing up for a few new credit cards could give you enough points to get to Europe for a big trip one day. Most of the time, you have to spend a certain amount to earn the points, so check your agreement carefully. Finding a flight to Europe that fits your budget is possible if you look to some of these creative methods. This way, you can explore some of the greatest cities on the planet.